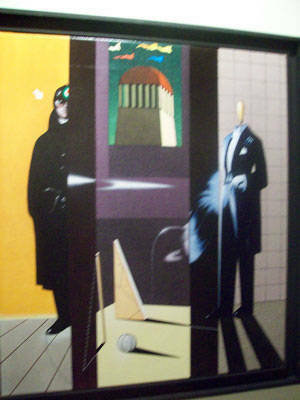 The genius, the philosophical intuitions, the enigmatic style of Giorgio De Chirico have influenced entire generations of painters and sculptors, determining currents like Magritte’s surrealism or touching the lives of friends and artists, from Guttuso to Seward Johnson, who were close to him. 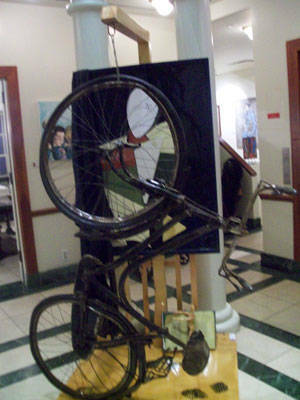 These latter have then created their own works, re-interpreting their “master”, either imitating, or paying homage to a painting, or portraying or adapting his most important teachings and concepts. Curators Gloria and Antonio Porcella have collected the works of 67 artists to set up an exhibit that was brought to the United States for the first time with the collaboration of Claudio Angelini, President of the Dante Alighieri Society who, just like his father, had Giorgio De Chirico as his best-man at his wedding. Besides New York, the work will also be displayed in Miami and Los Angeles. These feelings somehow enlighted his Art. 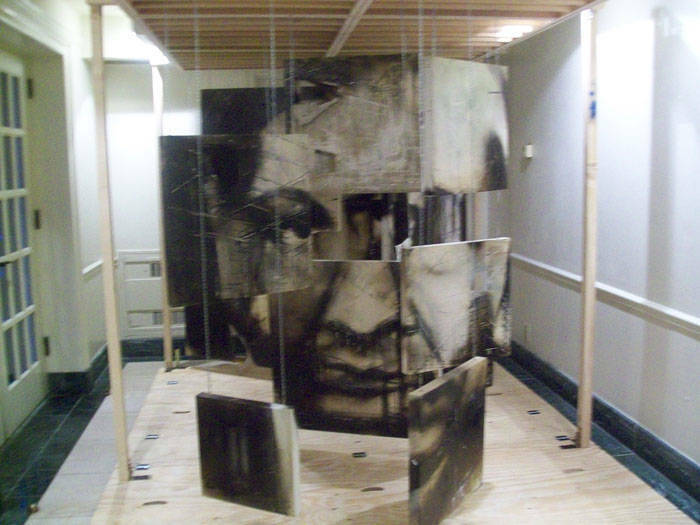 That is why his portraits and the works inspired by him - sometimes very similar to his actual paintings - feel somehow at home when brought to the "other side of the pond", in the somewhat decadent and yet statuary buildings of the Greenwich Village, at Casa Italiana,Zerilli-Marimò, the center for Italian Studies and Culture at New York University. The night of the inauguration the beautiful hallways of the Casa, where the exhibit was displayed, were crowded with poeple admiring the works while sipping some excellent wine. 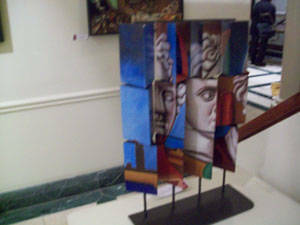 On the walls, pieces of art of Enrico Prampolini, Renato Guttuso, Ruggero Savinio, Gino Marotta, Ennio Calabria, Sergio Vacchi, Mario Ceroli, Alberto Sughi, Bruno Ceccobelli, Piero Pizzi Cannella, Bruno Grassi, Marco Nereo Rotelli, Jean Pierre Duriez, Alfredo Rapetti, Erika Calesini, Angelo Colagrossi, Stefano Branca, Irem Inceday, Flavia Mantovan, Camilla Ancilotto, Isabella Orsini, Francesca Leone, Cristiano Cascelli, Pino Settanni, Tiziano Lucci and Fabiana Roscioli. 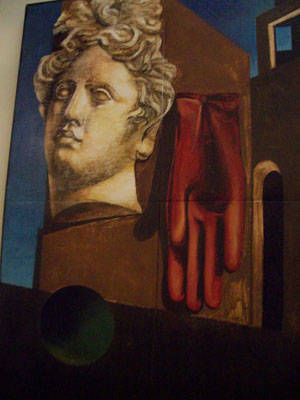 “De Chirico has influenced a variety of artists from all over the world. Some of the art displayed here was sold in auctions, other pieces are part of the private collection of friends of ours, and another fiew were created just for the occasion. Pieces by some oh his "historical disciples", among which Prampolini, Guttuso or Clerici, are thus displayed besides those by young, less known artists.